I’m keeping up with my promise! I’m not sure why this post took so long, maybe because it’s so hard to actually get a good photo of my chubby bunny doing all her Montessori learning. She’s moving with every camera click so I’m often getting blurry photos! Here’s a recap of what I’m doing with her on a daily basis. Well. Most days. It’s a bit easier in the winter since I don’t go out that often anyway because it’s just too cold! I do this with her EVERY MORNING with her, keep in mind that she loses interests in exactly 5 minutes. 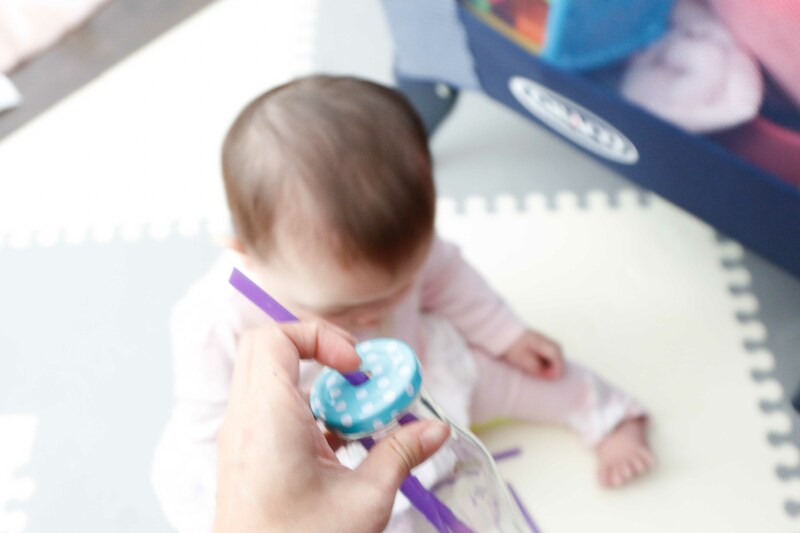 So I started this at 7 months… she was in no way interested in putting a straw in the hole. Instead, she was much interested in eating the straws and the glass bottle…. Eventually, she started to pay attention when I put the straws in the bottle. I would show it to her 34879587495 times. She would get super excited for about 2 minutes. I would take the hand and try to get her to mimic the motion. But, maybe it’s just my child…..she would get frustrated and pull her hand away from me. I did this exactly for one month. There was no progress sadly, she did stop eating the straws though near the end. She still didn’t put the straws in the hole, so I thought I’ll just stop for now and re-introduce it when she’s 10 months. So, why am I sharing my failures?? Because I want to share what motherhood is about, I don’t want to share all the glam and glitz in life because well. It’s not. Motherhood requires patience which I barely have but I’m trying! Ok, so this is kinda the same concept as my DIY straw and bottle. 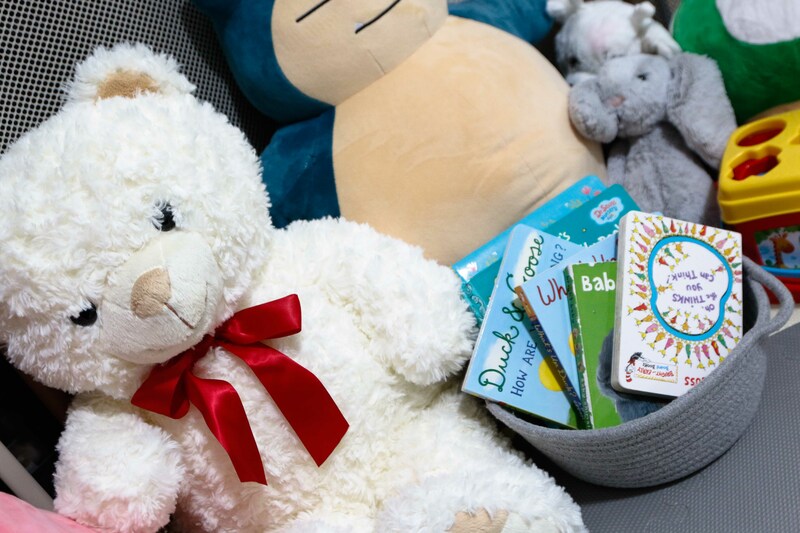 It is introduced to children when they are old enough to sit up without assistance, generally around 8–12 months of age. 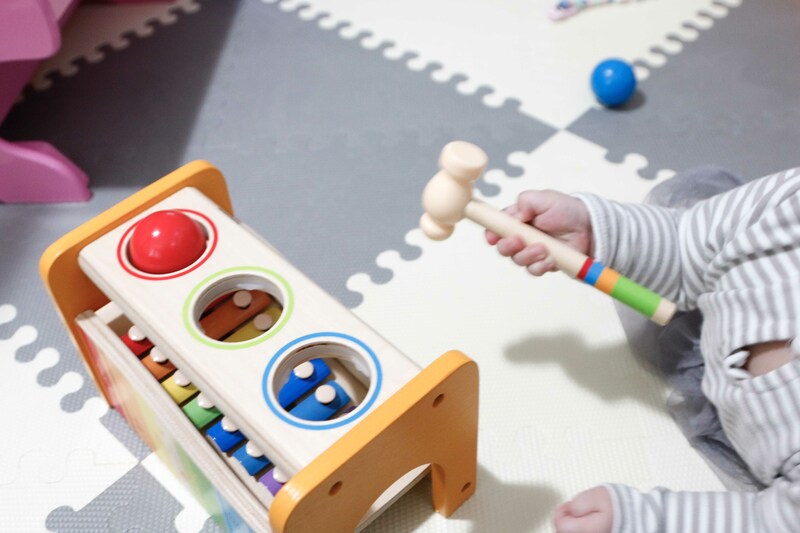 The direct aim of the material is to help children develop their sense of object permanence. 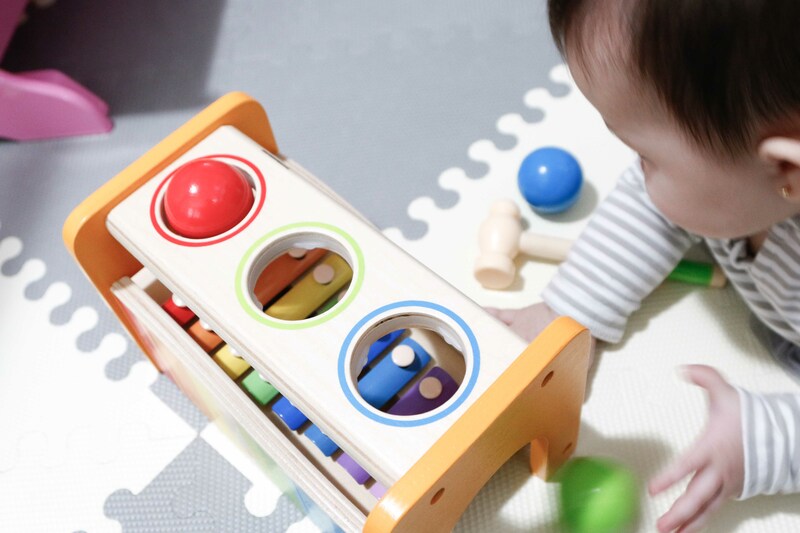 It also indirectly helps them develop focus and concentration and gives them practice developing fine motor skills through the whole-hand grasp. This chubby bunny does grab the ball really well, she can pick it up from the stand. She is finally starting to understand the hammer the balls that push the ball through the ball. In the beginning, she would just eat the ball, or grab two balls together and makes a bang sound. She loves it! This is the same concept. 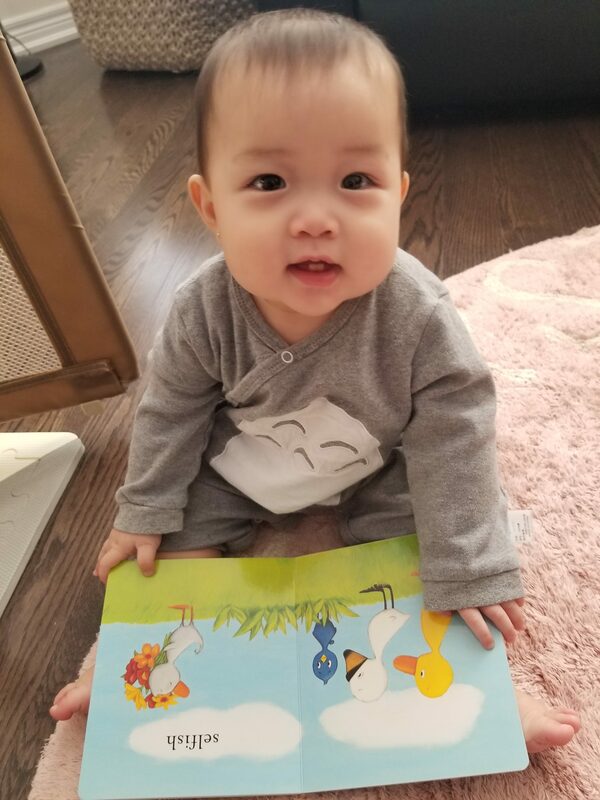 I teach her shapes and repeat the words to her in Chinese. She in return eats them. I believe all babies at the 8 months stage just eats everything?! 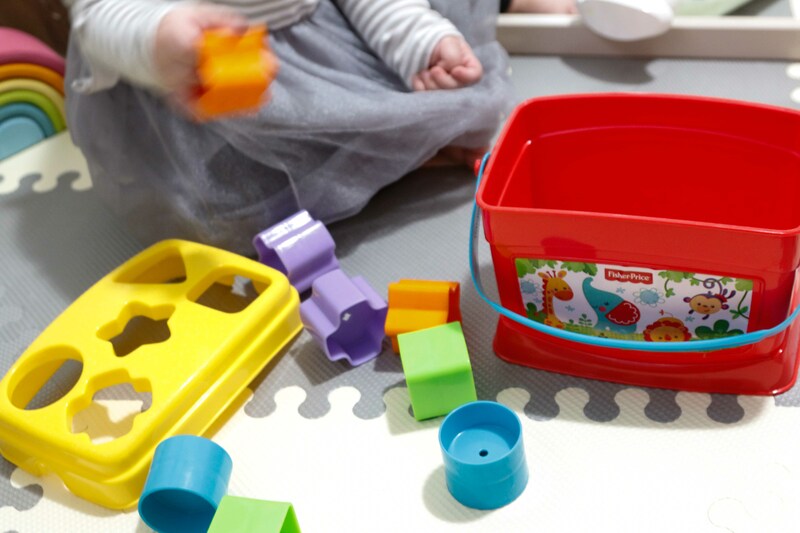 She would happily pick it up then rips open the lid and puts the blocks in the bucket instead (the easy way ofcourse!) Smart child. Smart Child. This amazing cube is from her Godfather. You can purchase yours here She LOVES this thing, there are just so much different activities she can play, it keeps her pretty entertained for at least 20 mins before she gets bored and turns away. But I love how sturdy this cube is. I try to show her a different side of the cube every day. She LOVESSSS it. 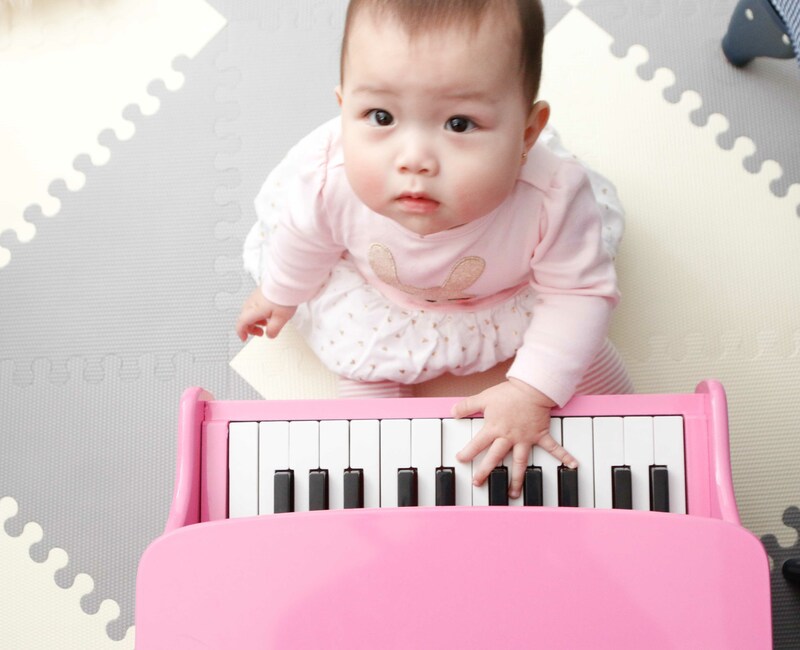 She loves the music, she loves when I play and sing along, she would look at me in awe and squeal and starts banging on the piano. 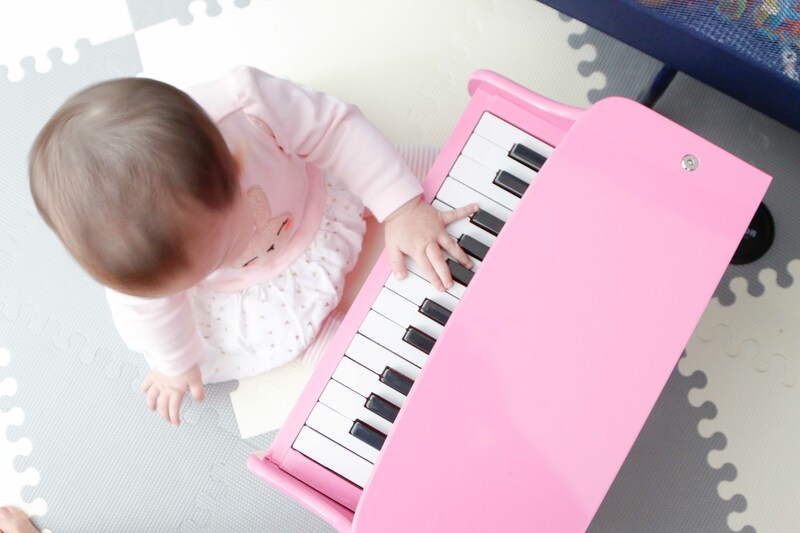 I play the piano twice a day for her, sometimes more. You can get the same model in a different color at Melissa & Doug. Of course! There is a little section of books for her. We are in the moving stage right now so I haven’t set up a Montessori area for her, but when we move I’m hoping the entire area will be Montessori friendly! I do have a basket of books for her which she loves to pull the book out and pretend she is reading to herself. It’s super cute. I read to her at least 3 times a day! I’m starting to introduce the word “No” I was kinda hesitant to introduce this because I guarantee she’s going to repeat “No” to my face a billion times. But I figured I have to start sometimes, so I would firmly say “No” and she would stop and look at me. 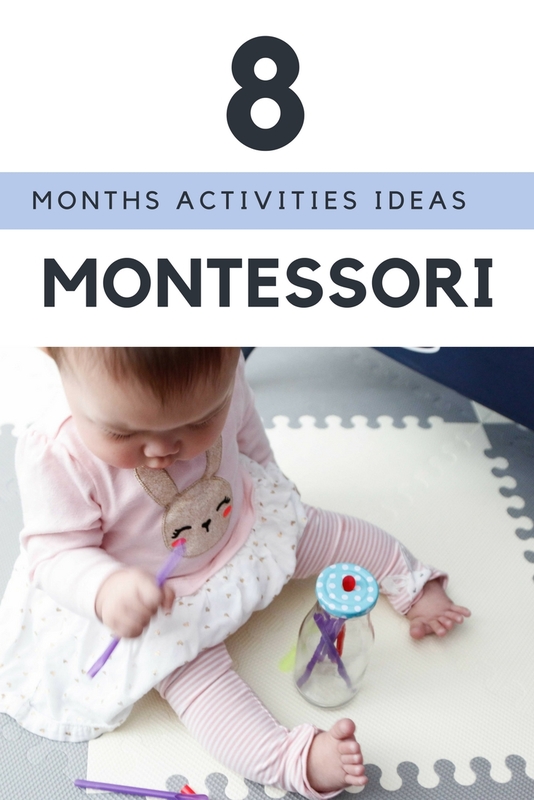 I’m learning to be patient and really try to do all these activities with her everyday. But sometimes I would rather sit on my cough. It’s just soooooo comfy. If you would like to earn cash back, sign up here! 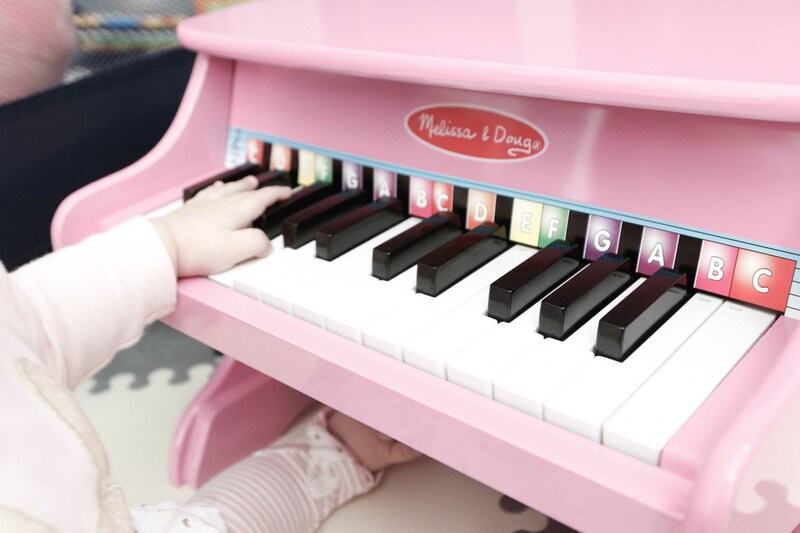 You can earn cash back on Indigo and the Melissa & Doug toys!